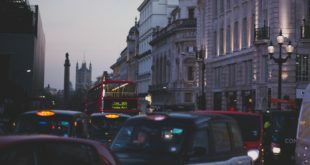 Car traffic decreased by 1.9 per cent (to 59.6 billion vehicle miles) from January to March this year, according to the Department for Transport (DfT). The decline in car journeys was mirrored across all motor vehicles – including light goods vehicles and HGVs. All road types saw a fall too – rural and urban roads say 2.5 and 2.9 per cent drops in traffic, while motorways saw a more modest 0.7 per cent fall. Urban ‘A’ roads fell 3.1 per cent – the lowest quarterly estimates since records began in 1993 and 8.3 per cent lower than the heady days of the Q1 peak in 2004. The reason? More people getting on their bikes? Not necessarily, said the DfT, which cited heavy snowfall and icy conditions stopping people driving in Q1. It did add that ‘economic conditions’ have played their part in the reduction, affecting business traffic particularly. Sustrans expanded on the economic reasons behind the drop – namely increasing transport poverty. Sustrans’ policy adviser Joe Williams said: "Motor vehicle traffic is in decline because many people simply cannot afford the cost of running a car. "Transport poverty in the UK is far-reaching, denying millions of people access to jobs and opportunities. With oil prices only going up, UK governments must give people an alternative to the car by making affordable forms of transport like walking, cycling and public transport accessible for everyone." Meanwhile, for bicycles we heard from the Cycle to Work Alliance which had found an increase in cycle commuters in Q1 2013. There are more statistics to digest on the DfT site.